A summary of the present law together with comments on its impact on business, particularly given the challenges raised by current market conditions, follows. A commercial agent, through a commercial agency, facilitates the marketing of a foreign company’s goods and services in one or more of the Emirates. The terms of the relationship are spelled out in an agency agreement between the principal and the agent which stipulates the respective rights and duties of the parties, including the agent’s compensation for his services. The amount of compensation due to an agent will vary depending on the type of business and will be payable only if contracts for products or services are obtained. 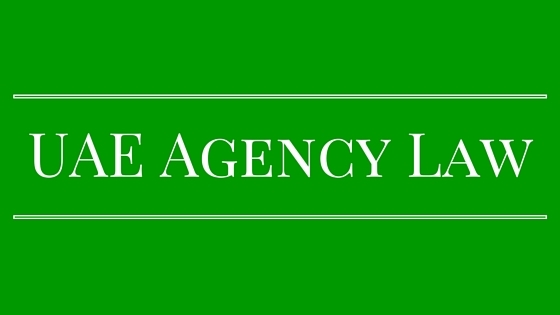 It is important to note that the Commercial Agency Law makes no distinction between commercial agency arrangements, distributorships, franchises, commission arrangements or any other form of sales representation. All such business arrangements may qualify as commercial agencies under the Commercial Agency Law as the Arabic word for agent, “wakil”, refers not only to commercial agents but also to all other forms of legal representation of a principal. The Commercial Agencies Register of the UAE Federal Ministry of Economy (the “Ministry”) is responsible for registration of commercial agencies under the Commercial Agency Law. The Commercial Agency Law provides that no commercial agency shall be carried out in the UAE unless the agency agreement is registered with the Ministry. 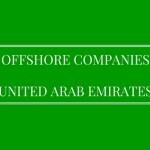 However, in practice there are numerous agents which do not have their agreements registered and are doing business in the UAE. In absence of such registration, they are deprived of certain rights and benefits available to registered agents. In accordance with the Commercial Agency Law, a commercial agent must either be a UAE citizen, or a company that is wholly owned by UAE citizens. In addition, the agent must hold the license to sell, distribute, and market the relevant goods and/or services which are the subject matter of the agency from the Department of Economic Development, the competent authority for licensing companies. Once the agreement is registered, the Commercial Agency Law affords certain statutory protections to the agent that cannot generally be circumvented. These protections include: (1) the agent’s entitlements to commissions on all sales within the specified territory, whether or not the agent actively participated in these sales; (2) the agent’s right to prevent import of goods subject to the agency where the agent is not the consignee of such goods, and (3) the right to compensation, as addressed herein below. Right to Non-Renewal: The Federal Law No 13 of 2006 which amends the Commercial Agency Law allows the agency agreement which has a fixed term to automatically expire at the end of the term (unless otherwise agreed by the parties). The new law still prohibits a new commercial agent from being appointed unless the registered agency agreement under which the agent was appointed has expired without renewal, been terminated by mutual agreement, or been terminated pursuant to a final judgement de-registering it. However, in practice, the Ministry uses the procedures described below for deregistering agency. When the Ministry receives a request for de-registration of a commercial agency from the principal, it will forward that request to the agent and ask for a reply. In cases where the agent accepts deregistration, the Ministry will de-register the commercial agency from its record. However, in cases where the agent contests the principal’s request for deregistration, the Ministry will give the agent reasonable time, to be determined at the discretion of the Ministry and on case-by-case basis during which the latter may refer the matter to the court and submit proof to this effect to the Ministry. If the agent submits acceptable proof the Ministry will freeze the deregistration pending the outcome of the court action. The agent’s failure to submit such proof will be considered as consent to the principal’s request. In case deregistration is not effected by the Ministry for the want of agent’s consent, business of both parties are affected considerably till the settlement is reached or the courts rules on the matter. In our opinion some mid-way has to be evolved so that the business continues unaffected and the reputation of the brand is not damaged. Rights to compensation upon non-renewal: While the amendment to the Commercial Agency Law gives principals an edge over old law, it has still not altered the compensation provisions. These will still apply, bringing with them the same consequences upon termination of a registered agency agreement under the previous regime, which is explained in detail below. It is difficult for a foreign principal to terminate a registered agreement. Generally, the principal will need the express permission of the UAE agent to terminate the agreement regardless of whether the agency agreement provides for a fixed term. Until so terminated and the registration is deleted from the Ministry’s register, the exclusivity of the agent is protected. The agent retains the right to apply to the Ministry to prevent the principal from using any third party to import the products or services whilst the agency remains registered. The customs departments may on the instruction of the Ministry refuse clearance of the principal’s products (which is subject of the registered agreement) by anyone other than the registered agent. The Commercial Agency Law does not allow the principal to terminate registered agencies without there being “justifiable cause”. 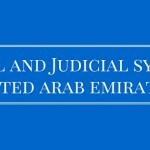 The UAE courts have, in past, interpreted “justifiable cause” to include: (1) gross negligence; (2) impermissible dealing with competitive products / services; (3) assignment of the agency under a management agreement; (4) breaking the legal conditions relating to agent; for example where the agent is no longer an entity wholly-owned by UAE nationals, and (5) failing to meet agreed sales targets. Increasingly, the termination of registered agency agreements is completed through settlement agreements negotiated between the parties. 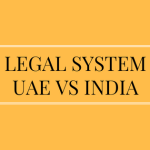 Under UAE law and practice significant protection is afforded to local agents. This together with uncertain implementation of a remedial law may represent a deterrent for foreign principals entering the UAE market. Further, when the agent is granted exclusive protection, it restricts competition. For example, in the case of a particular automobile company having exclusive agency in UAE, consumer has less choice but to purchase the products of that particular brand from that particular agent, whether or not agent is providing good terms of sales and service after sales. Since economy of the UAE is based widely on foreign businesses, brands and investments, in our view, to attract such further businesses, create new jobs and secure existing business, the law needs to be overhauled. Both the principles and agents should be allowed to agree on the terms of the arrangements between them and the interference of law should be restricted to minimum, particularly with regard to termination and deregistration with the Ministry. Also, it is imperative that the Commercial Agency Law, with its amendment, be implemented in its true spirit. In the meantime it is very important to structure the agency agreements very carefully for which expert legal advice is indispensable. 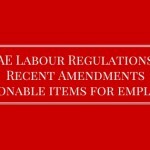 The UAE is the party to General Agreements on Trade and Tariffs (GATT) and General Agreement on Trade in Services (GATS) both administered by World Trade Organisation (WTO) which seeks to harmonise the trade between the members countries based on some liberal mutually accepted principle for benefit of all. The protection granted in the Commercial Agency Law to the UAE Agent may be construed as affecting free trade and against the spirit of GATT and GATS. Thus, it may be in the interests of the UAE to align its laws to the international best practices and abandon its protectionist approach towards the local agents sooner than later.